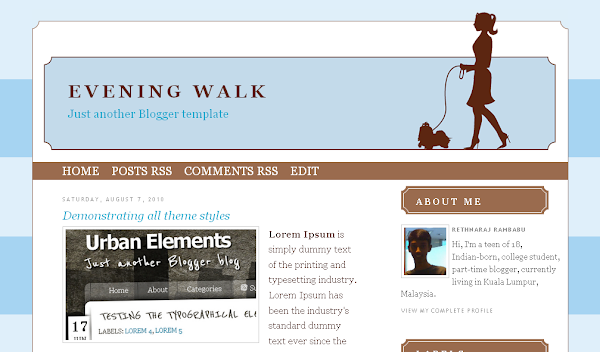 Evening Walk is a free blogger template with 2 columns, right sidebar and comes with a classic look. It is a simple and excellent template for personal blogs. This template is cross-browser compatible.